Wolf Nor Dog Books, 9780980004601, 142pp. 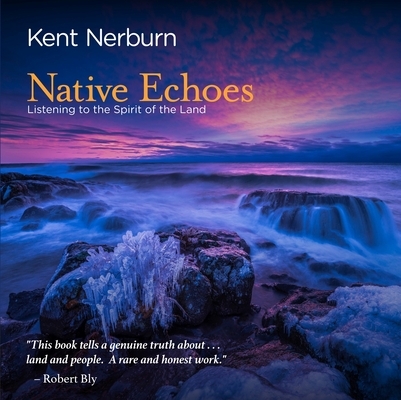 From the grandeur of the Great Plains to the solitude of the northern woods, from the intensity of a summer storm to the quiet redemption of a fresh blanket of snow, Kent Nerburn's Native Echoes pays homage to the power of the land to shape our hearts and spirits. An Ojibwe elder once counseled Nerburn to "always teach by stories, because stories lodge deep in the heart.'' Using skills learned from Native storytellers as well as a deep reverence for the world's spiritual traditions, Nerburn takes us to an Ojibwe burial, down lonely winter roads, and into landscapes where trees have presence and the earth is made alive by the mystical power of water and light. Kent Nerburn is a sculptor and award-winning author of sixteen books. He has been writing about Native American history and culture for almost thirty years, and is the founder and director of 'Project Preserve', working on the Red Lake Ojibwe reservation helping students collect memoires of tribal elders. He lives in Portland, Oregon.